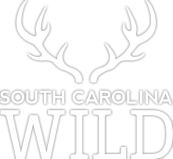 More than 500,000 people aged 16 and older (including many nonresidents) enjoyed a fishing trip to one of South Carolina's freshwater lakes, rivers or streams in 2011. Those anglers spent serious money on their hobby. In South Carolina, retail sales related to recreational, freshwater fishing alone totaled nearly $587 million in 2011 and accounted for more than 9,000 jobs. 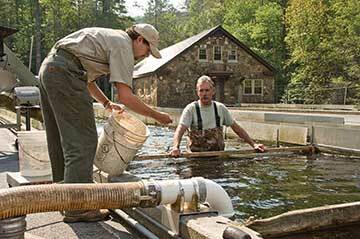 The number of anglers in the United States grew by 11 percent between 2006 and 2011. Nationally, recreational fishing has an estimated $115 billion annual impact on the U.S. economy, supports more than 828,000 jobs and generates approximately $15 billion in state and federal taxes. Prior to their being outlawed by the U.S. Environmental Protection Agency, industrial chemicals known as PCBs (polychlorinated biphenyls) were dumped into a creek feeding the Upstate's Lake Hartwell, contaminating the creek and resulting in fish consumption advisories downstream. In 2006, after a decade of court battles, a trustees group led by the DNR was awarded a multimillion-dollar settlement in federal court that included funding for cleanup and environmental monitoring of the creek, and habitat restoration to enhance recreational fishing on Lake Hartwell. 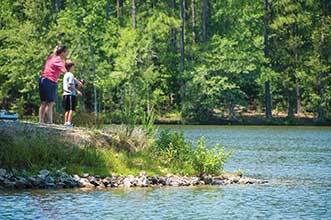 A ten-year restoration plan for Lake Hartwell designed by DNR biologists focuses on improving habitat. When the lake was built, the majority of its shoreline was cleared of trees and brush. Over the next decade, woody debris such as large stumps and trees will be placed in locations around the shore, which will provide optimal habitat for prey species (like invertebrates and small minnows) and in turn serve as magnets for predator species (like crappie and bass). Planting of native aquatic and semi-aquatic vegetation will help stabilize shorelines and add needed structure to enhance habitat diversity, and adding stone or gravel will provide more productive spawning areas. These habitat enhancements should improve fishing by increasing the population density, size structure, reproductive success and survival of popular gamefish species, as well as creating fish concentration areas which can be targeted by anglers. 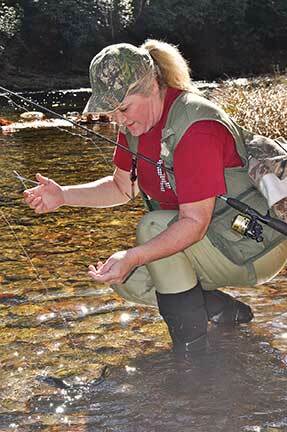 The results should pay dividends in terms of better days fishing and angler success for decades to come. Diadromous fish face a number of hurdles, namely dams for generating hydroelectric power on rivers like the Saluda, Wateree, Santee and Cooper. In the good old days, spawning shad, herring, sturgeon and eels could run up and down the rivers as they pleased, that is until progress got in their way in the early 20th century, as new dams came online. 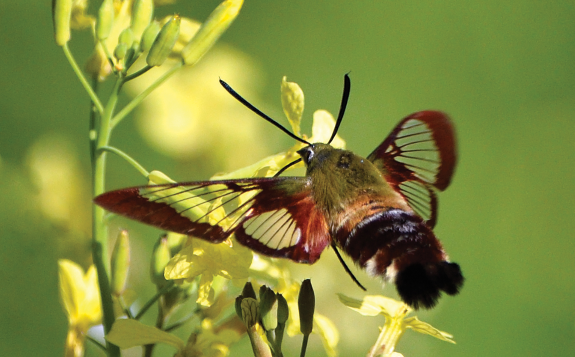 Realizing that electric lights had left diadromous fish swimming in the dark, the U.S. 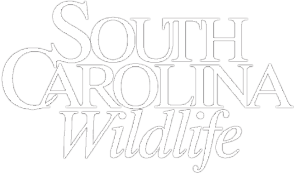 Fish and Wildlife Service forged a partnership agreement in 2007 with the DNR, the North Carolina Wildlife Resources Commission, Duke Energy and SCE&G to conduct diadromous fish research and management activities throughout the Santee River Basin. The Santee Accord provided $10 million, over a ten year period, to fund science-based studies related to diadromous fish and their habitats. Through this research, scientists hope to identify spawning habitats for shad and sturgeon, track inland spawning migrations through locks and fish lifts, and study eel populations around the river dams. 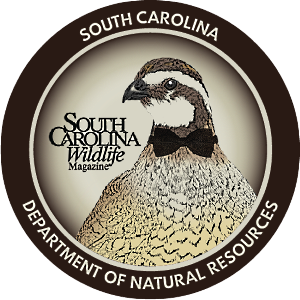 While much work remains to be done, the Santee Accord is an important step toward long-term conservation of diadromous fish in South Carolina.